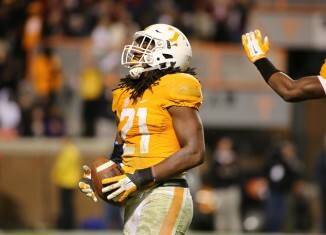 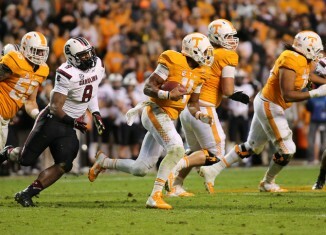 Photos from the Tennessee-South Carolina game on Saturday night. 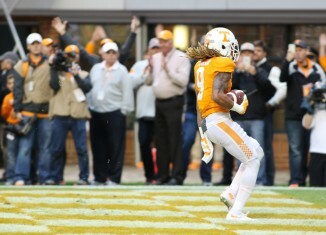 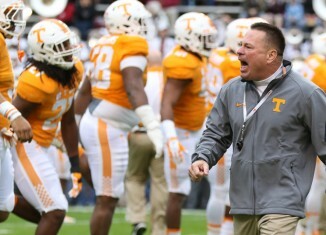 Some familiar issues plagued the Vols on Saturday night, but this time they found a way to come away with a victory. 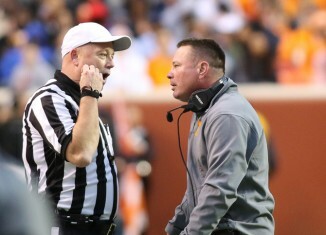 Butch Jones addressed the media after the game and went on a quick rant about needing more positivity around the program. 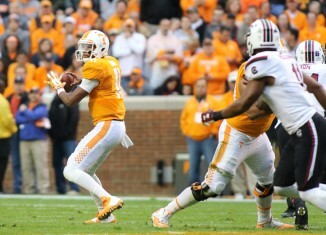 South Carolina defensive back Rico McWilliams went for the throat – literally – of Tennessee receiver Jauan Jennings in the first half. 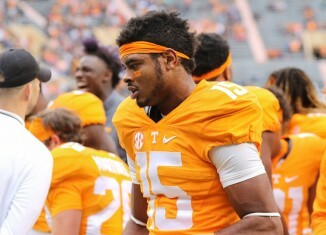 Pre-game and in-game updates from Knoxville for the UT-South Carolina game.